Anyways, both my mother-in-law and father-in-law, have their birthdays just a day apart. I had been scratching my head as to what should I gift them. 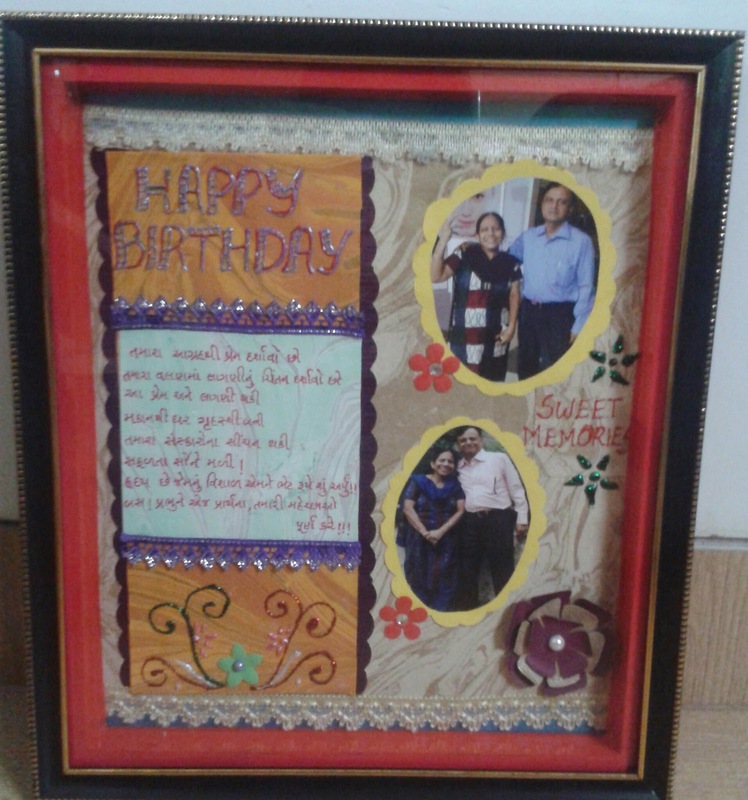 Since they are aware that I love to craft, they would not accept any market gifts from me :) Finally I came up with the idea of making a frame for them. So this is the frame i came up with. With winters/fall stepping in, I have used some fall colours. What i love best about fall is the how the colours of leaves change and take a brown/orange look! 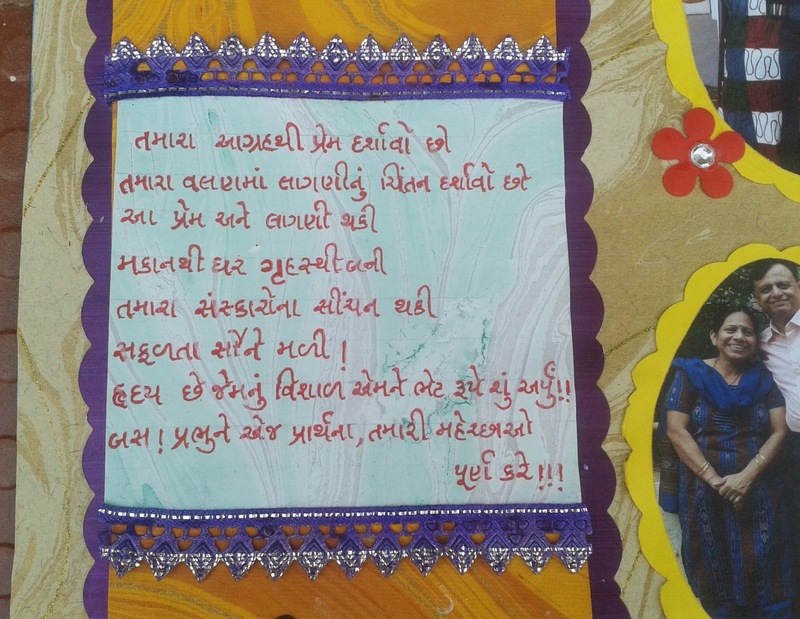 I added some lovely pics of them together and wrote a poem in gujarati for them. I pray Almighty to fulfill all their wishes!! This is how it looked after framing it up. 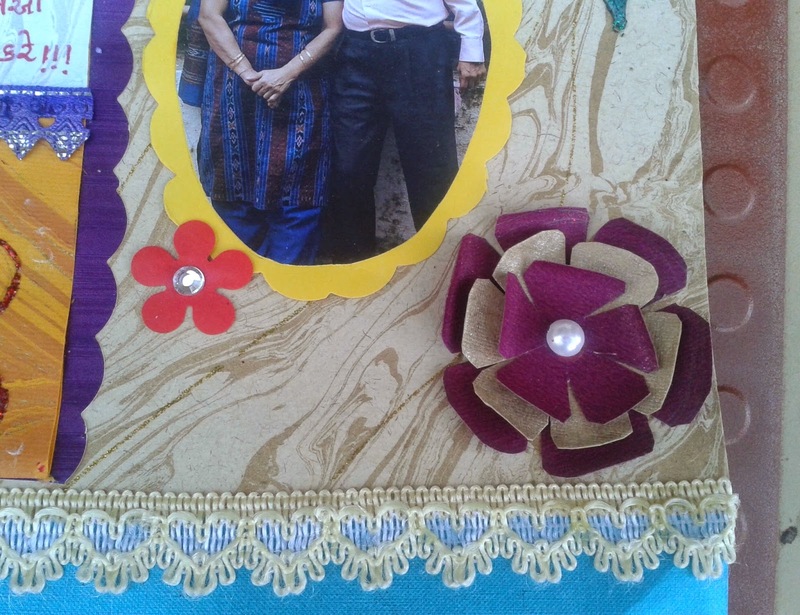 Its a wonder how handmade articles refresh memories and bring happiness. My In laws loved it and have put it up on their wall !! 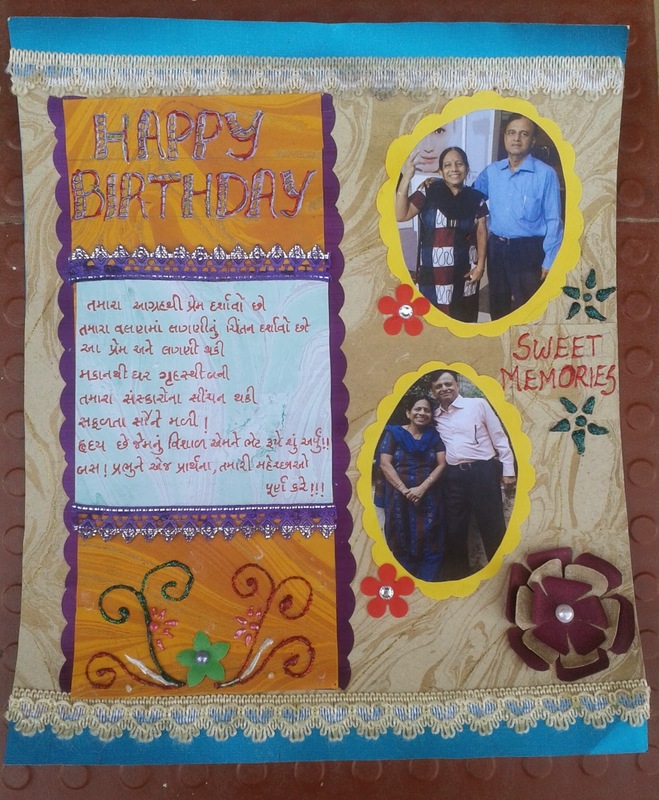 lovely project and a nice memory keeper! thanks for playing along in the kleuren met potloden challenge. Wow sooo wonderful !!! beautiful fall themed project ! Hii.. i rele liked this. How to contact you for something similar.